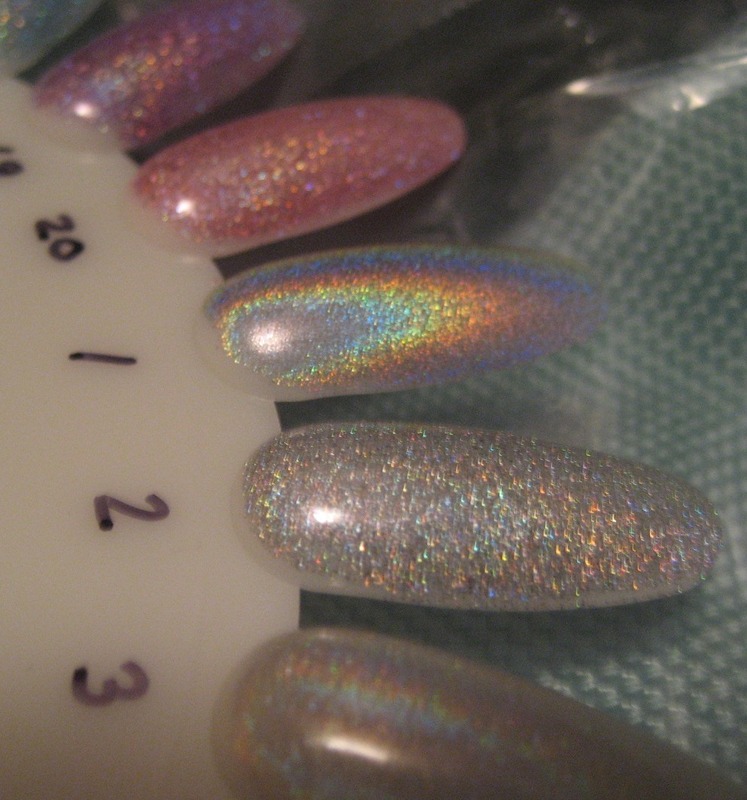 I have holo polishes for this episode of Nail Wheel Wednesday. Unfortunately what I don't have is any pictures of these in the sun, because there has been no sun between the time I finished painting this wheel and now. I admit that's been less than 24 hours, but still—what's the point of the time change if I don't get sun in the morning? Ah well, they're pretty anyway. I used two coats of all of these, no top coat. So much so that all punctuation deserted me! this makes me want to cry like a baby that I cannot find the OMG collection. gorgeous-ness! LOVE holos! Thanks for posting this! I only have China Glaze OMG and I love it! I am desperately trying to get my hands on the GOSH one but it is nowhere to be found here! The GOSH applied terribly on me. Dragged like anything. Maybe that was just me. Reminds me to wear Nubar Reclaim again soon. The OMG are great, aren't they? 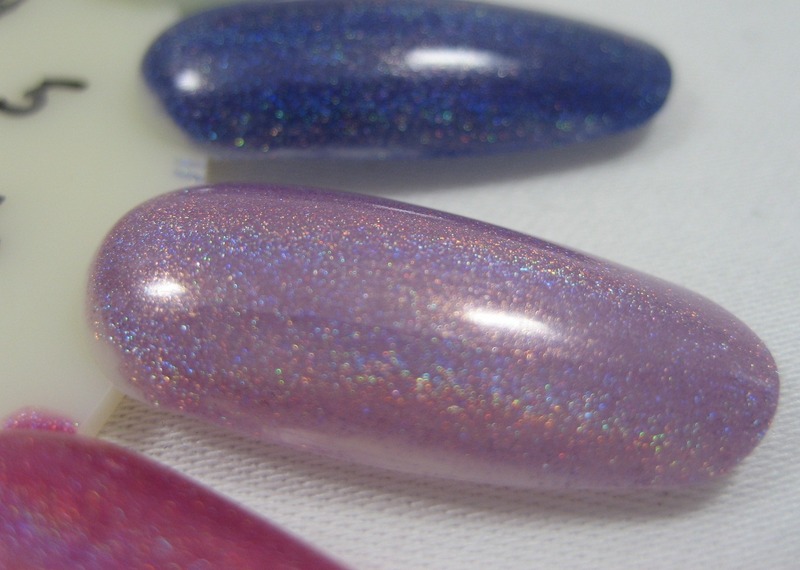 I'm so angry with myself for not buying backups of my OMG polishes. But thanks for the swatches!! I love the GOSH! 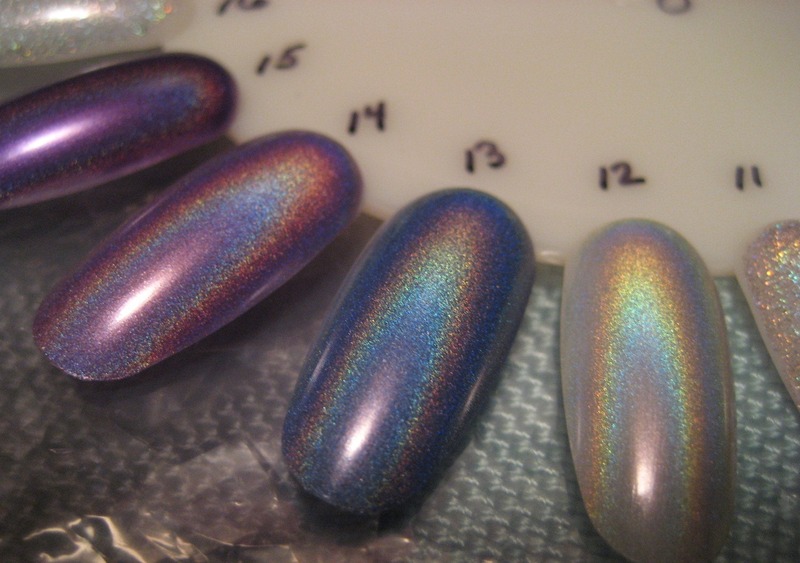 It makes me want some Nfu-Oh holos. Wooow, SO jealous right now. You have so many holos!!! 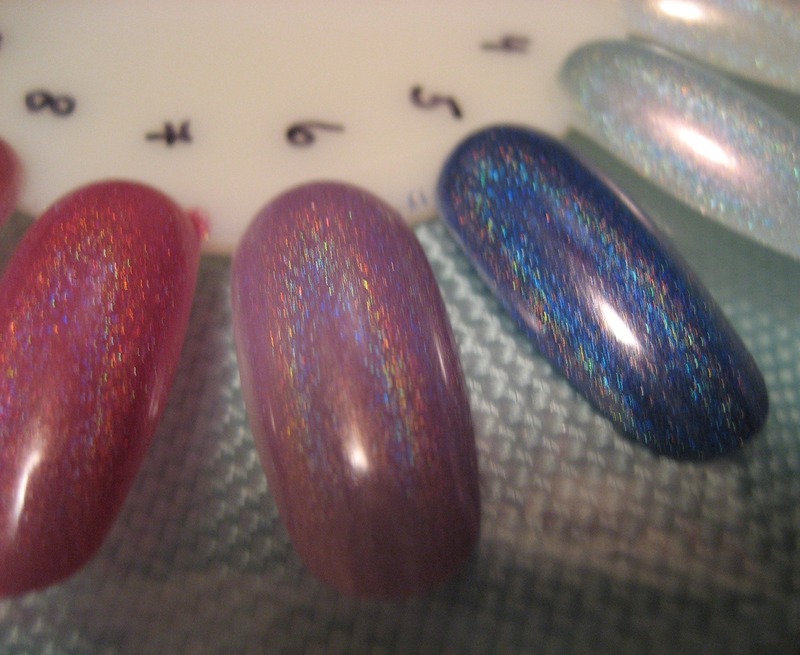 Soooo jealous of your holo collection!!! 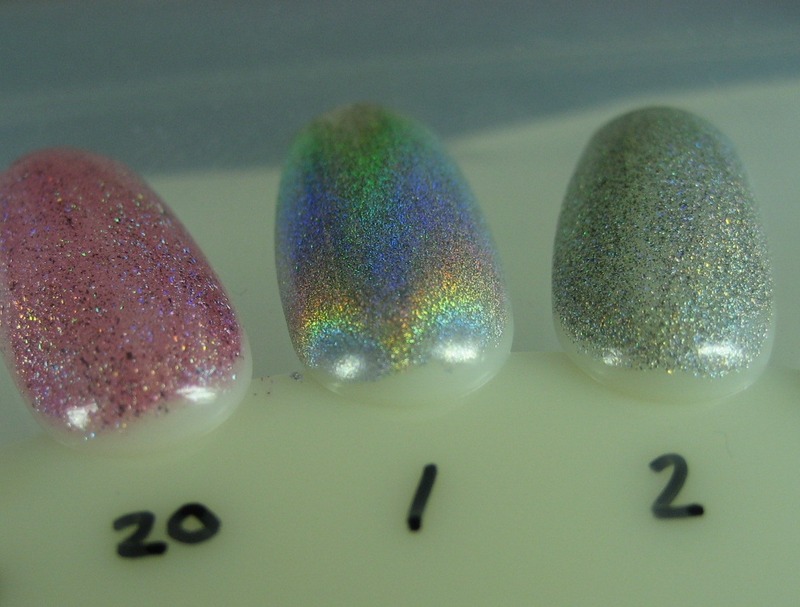 which one is your favorite holo? I think mine is dspassion. I don't know why..I guess it's office appropriate and pretty ? haha. pretty is a very vague term. I own glamour but it doesn't exactly wow me. shortwidenails, it's so hard to pick a favorite; at the moment I'd say China Glaze IDK. Gemx, the ones I've worn for full manis (mostly the OPI DS & Milanis) have held up pretty well for several days with my usual base/top coat routine. I haven't tried the GOSH for a full mani yet though.